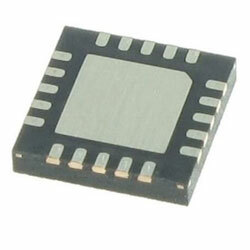 IDT F2913 SP2T Absorptive RF Switch ICs are designed to deliver high linearity and high isolation. These devices are available now from Mouser. These absorptive RF switches provide a 50Ohm termination resistance at all the RF ports. The switches include 50MHz to 6000MHz wide frequency range for operation. These ICs also provide fast switching time, high termination power handling, and low insertion loss. The ICs support three states using either 1.8V or 3.3V compatible control logic with high IIP3 of 65dBm at 2.6GHz. These absorptive RF switches come in 4mm x 4mm 20-VFQFPN package and are offered in tray and reel variants. The switches operate at 2.7V to 5.5V supply voltage range and -40C to 110C operating temperature range. These absorptive RF switches are readily applicable in base stations (2G, 3G, 4G, and 5G), E911 systems, digital pre-distortion, RFID handheld readers, and RFID portable readers. Applications include 2G, 3G, 4G, and 5G base stations, Digital pre-distortion, Point-to-Point infrastructure, Public safety infrastructure, WIMAX receivers and transmitters, defence systems, JTRS radios, RFID handheld and portable readers, and Test/ATE equipment.